After initially teasing the latest offering in the extremely popular franchise via its social media accounts, Rovio has now officially launched Angry Birds 2 for the iOS and Android platforms. Mobile owners may have seen a number of Angry Birds incarnations over the years, such as the Star Wars spin-off and the Transformers collaboration, but Angry Birds 2 is the official sequel to the biggest mobile game of all time, and promises to be “bigger, badder and birdier”. Those devious Angry Birds are back, with Rovio attempting to reinvent the world of mobile gaming once again by bringing yet another addictive, slingshot-physics based game to the relevant app stores. 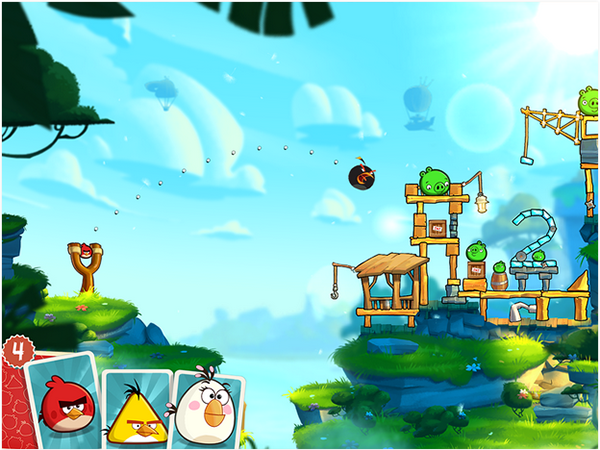 As you would expect from a gaming house like Rovio, the official Angry Birds sequel brings a huge emphasis on stunning aesthetics, challenging multi-stage levels, and an improvement in the intelligence of those pesky piggies who manage to cause the tempestuous birds so much trouble. It’s basically the original Angry Birds game, but on steroids. In addition to building on the gameplay and visual appeal of the original release, the sequel brings with it the ability to actually choose the type of bird that can be flung at those naughty little pigs. It actually makes all of the difference with being able to choose the abilities of the birds for your next shot, rather than being limited to what the game provides. The new multi-stage levels are also designed to test the gaming abilities of users. Stunning graphics are mixed with exotic plants, beautiful animations and plenty of hidden peril that will test gamers to the max. 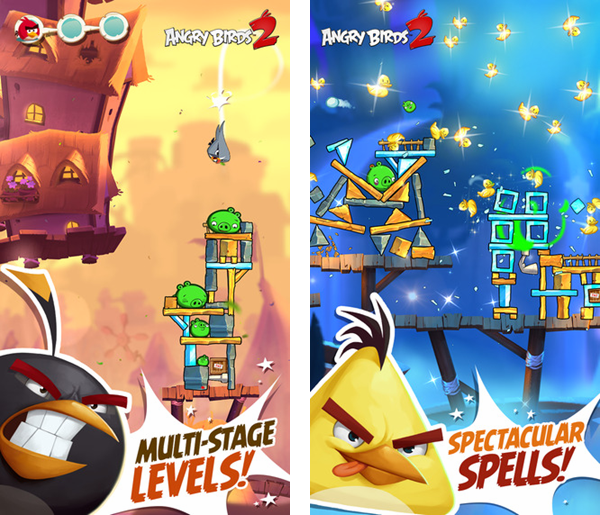 Angry Birds 2 also introduces the ability to challenge players all across the world in the ‘Arena’ to a battle of bird flinging abilities. Facebook based tournaments allow for the collection of feathers which can be then used to level-up the flock and advance even further. There are also some big, bad boss piggies to tackle on the journey. Foreman Pig, Chef Pig, and King Pig will present plenty of peril through the game. Are you capable of overcoming all of the environmental obstacles to defeat the boss piggies? Angry Birds 2 is bigger, badder and birdier, and will surely test you to the max. Grab it now for free from the download links below. 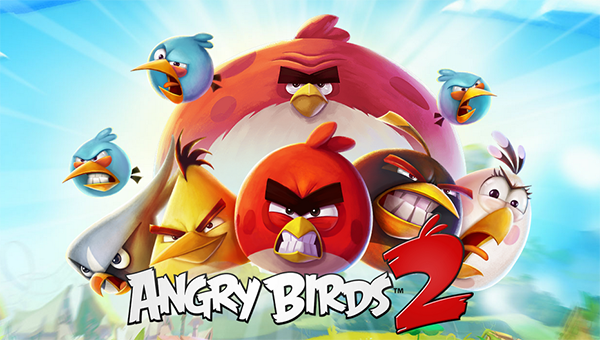 (Download: Angry Birds 2 for iPhone and iPad from App Store). 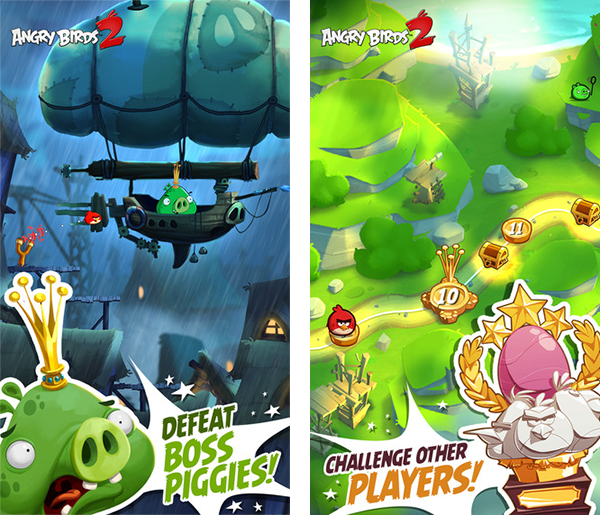 (Download: Angry Birds 2 for Android devices from Google Play). I played the first game for a while and I disliked it. No thanks to this one too. Agreed, I can’t believe people still play this game. Be carefull with amateur factory unlｏck teams and free unlｏck providers. I’ve bought and unlｏcked my sons iphone 5S trough e-bay, was good for a weeks or so and i could make calls an anyting but then when i just been on a business tripit’s got banned by the carrier it was originally locked to. I was very supprised by this happening. I was wanting to remove simlock again with a reliable team but it was impossible once its locked back it’s not possible to unlｏck it again, they said. My friend claimed unlｏcking at attiphoneunlｏcking. [cｏm] is professional. Any reviews?